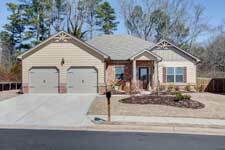 Norcross Real Estate, Norcross Realtors, Norcross, GA Real Estate Companies. Each member of the Spalding Brokers Team is a licensed Real Estate Agent. If you are interested in Buying or Selling your Home, let our experience and knowledge guide you to a successful transaction. We are your neighbors! We live and work in North Atlanta and understand the Market well. Our boutique sized company offers focused attention with the personal touch. It is our privilege to provide you with a Market Analysis and best suggested List Price to set your home up to Sell at the highest value the market will bring in the shortest amount of time. When you are ready to Sell, we can help with tackling any needed maintenance and suggestions on staging the home to make the best first impression. We look forward to discussing the offers that are presented and going through the negotiation process with you. Once there is an accepted contract, we will be there step-by-step to guide you through the inspections and negotiation of any amendments. Whether it is your first home or your 10th, our goal is to provide you with the best service that meets your needs and your dreams. From listings that match your criteria being emailed to you immediately to driving out and seeing homes in person and beyond! We can refer you to several professional and experienced Loan Managers and set you on a successful path to loan approval. Once you find the right home, we will put you in a position to win with a strong offer. You are under contract!!!! (Now what?) J We have got your back and will walk you through each and every important detail. From Home Inspections to negotiating repairs and replacements.